The biggest week of the year has finally arrived; it’s Trinity week! There are a ton of games this week in both Soccer and Football against that team from Shelbyville Road, but let’s go ahead and start looking ahead to Friday night’s big showdown at Papa John’s Cardinal Stadium. 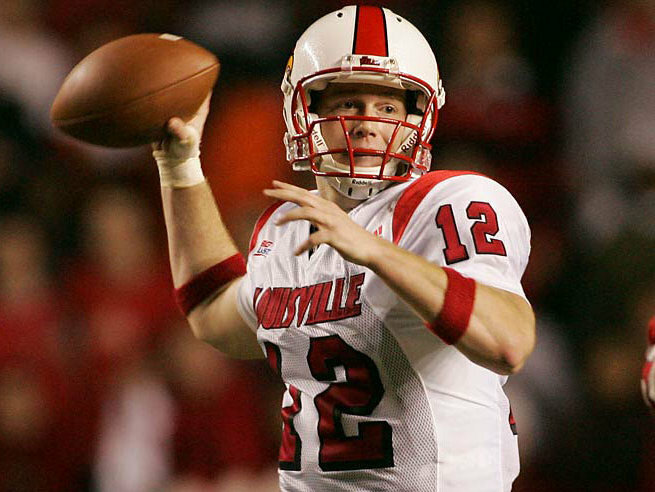 Brian Brohm – Brohm played four years of college football at the University of Louisville. Brohm was the Coference USA Freshman of the Year in 2005 and was the 2007 Orange Bowl MVP in Louisville’s big win over Wake Forest. Brohm went on to be drafted by the Green Bay Packers in the second round of the 2008 NFL Draft. Greg Fischer – Fischer is currently the Mayor of Louisville, KY and went to Vanderbilt University for college. Fischer won the Democratic primary with 45 percent of the vote. In the November 2 general election, he ran against Hal Heiner and won with 51 percent of the vote. Posted on September 28, 2015, in Tiger Football. Bookmark the permalink. Leave a comment.